Our latest Norwich City programme cover is a special FA Cup edition for the Canaries glamorous third round tie against Chelsea. 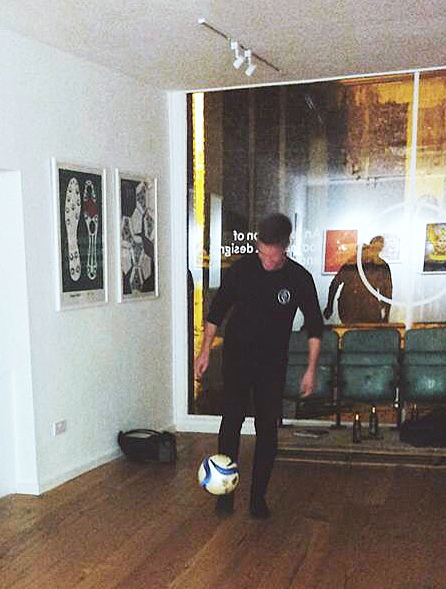 If you can't make a fuss of hosting the reigning Premier League Champions, then when can you! For this particular cover, we wanted the design to be unique and stand out as a 'cup special' but also feel consistent with the other programme covers created by our artists for the league games. The cover has been designed by Matt Whitehead from Patterns of Play, who has created a contemporary design based on celebrating a vintage era. His artwork pays tribute to the history of the oldest cup competition in the world by taking inspiration from a vintage FA Cup programme of the past. "After a lot of fun researching old cover designs, my attention was grabbed by a vintage FA Cup programme for a semi-final match between Norwich City and Luton Town in 1959. As a big fan of minimalist design, I naturally fell in love with this cover and the simplicity of using block colours to represent the two teams. This served as inspiration for my design along with the inclusion of a white centre-circle and halfway line, a graphic device that has become recognisable to the brand of Patterns of Play." 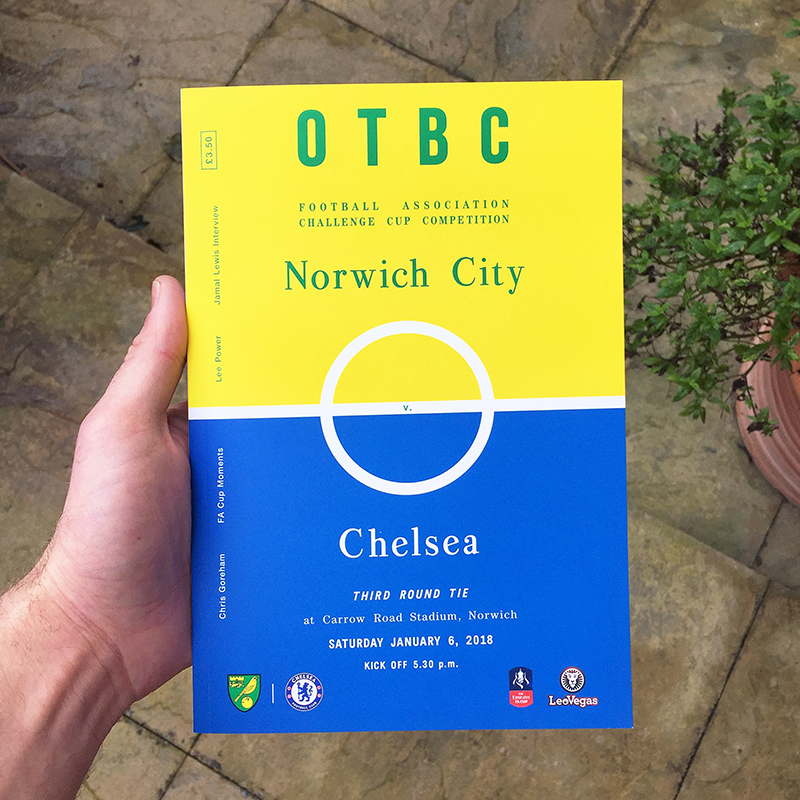 To further celebrate the cover artwork from our OTBC league programmes, we've released a limited edition run of 10 prints for each piece. They've been hand signed by the individual artists and are available to buy now from our online shop.